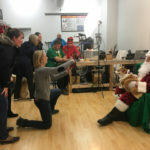 Santa and all of his elves were on hand for our annual Santa Photo Day on Saturday, December 1 in Downers Grove, IL. 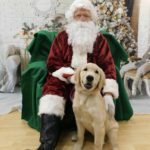 Despite the rain, we had a great turnout and had over 80 dogs come out to have their picture taken with Santa. 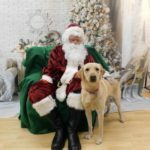 All the dogs, both big and small, were excited to sniff and see Santa in person. 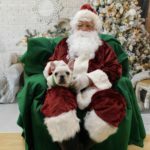 At the end of the day Santa went home to Mrs. Claus with all of his fingers in tact and many visions of fur babies dancing in his head. 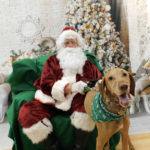 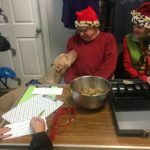 Thank you to all our friends in Downers Grove for all their help…….Happy Dog Barkery, 5122 Main Street, and RTT Cycle Shop, 5116 Main Street.